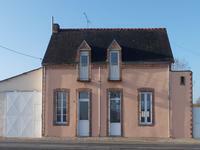 Perfect as a holiday home or a permanent home in the Southern Mayenne. Fully renovated with . . . 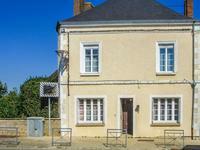 Situated in the very pretty village of Congrier on the border of Brittany/Pays de la Loire, a . . . This is a great opportunity to own a series of renovation projects that on completion will . . .
Full of character this is a well presented stone cottage situated within easy reach of all . . . Beautifully situated large house that sits in the middle of a grassed plot of land of approx . . .
Fabulous project for renovating a barn and its associated outbuildings in a quiet location . . .
Really nice project with so much potential comprising a character stone cottage with . . . This property is an ideal family home or a lock up & leave holiday home, which boasts . . . Surprisingly large family home with 175m² of living space and 4/5 bedrooms and good sized . . .
An enormous longère in great condition that includes a 3 bedroom family home and three . . .
Beautiful 3 bedroom house with large garden, Garage/workshop, close to amenities. This property is not just a house, it is a home, elegantly decorated to a very high standard . . . Fantastic opportunity for business premises and appartments in Renaze! This property offers excellent ground floor premises for a business, with apartments to . . .
A property with plenty of options! Currently comprises a fully renovated town house with . . . Beautifully presented 2 bedroom house in the centre of Renazé. Plot of building land in the village of Renaze, close to shops. 711m2 of building land in the lovely large village of Renaze. Totally closed in with fencing . . . This large semi-detached village house has lots of potential boasting 4 double bedrooms, . . . Private and stylish country home located on the edge of the villages of St Martin and Saint . . . 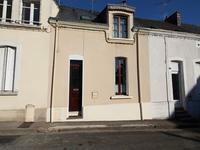 Fully renovated 3 bedroom house with large family living spaces on the ground floor, detached . 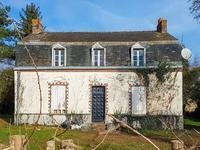 . .
Fabulous House Renovation Project in La Selle Crainonaise. A great opportunity to purchase a house renovation. This 4 roomed property, once transformed, . . .
Hard to find opportunity within this area. Two ex-miners cottages on the edge of the town of . . .